The advantage of staying longer time at a particular place is that you can wait. Wait for the right point of time. Wait for the day when the light is as it only is once a year. 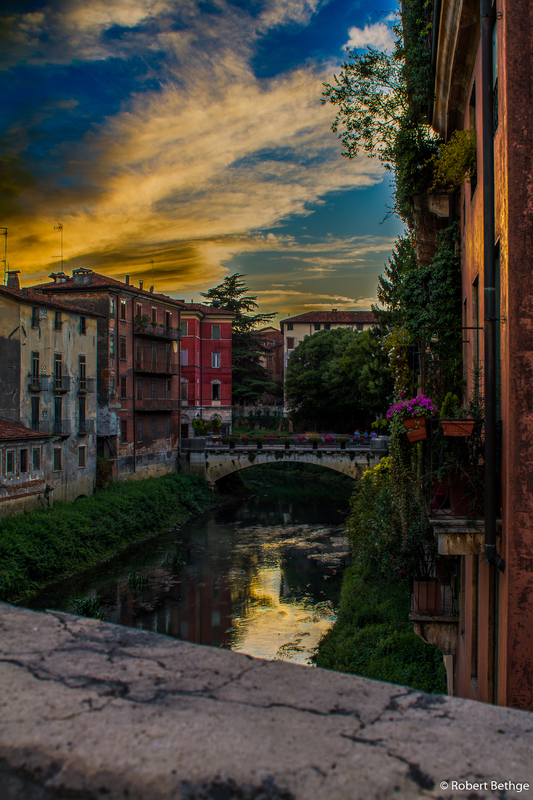 In Vicenza, I was that lucky two or three times, and that’s when the pictures in this post were taken. For the last photo I took my camera and my bike and went up Monte Berico, the mountain overlooking Vicenza. A storm front was moving in, and I was hoping for same dramatic scenes. Arriving at Monte Berico, I was disappointed initially. I just looked all pretty grey. 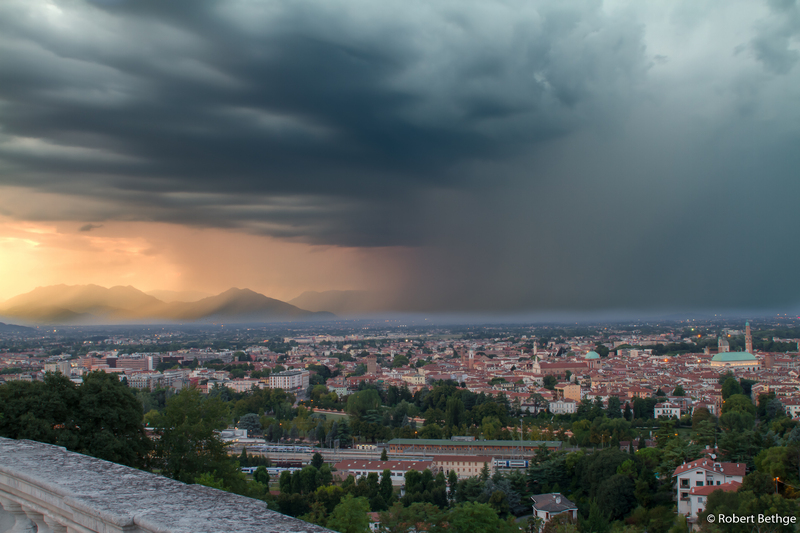 But after waiting a bit, the sun managed to break through in the west, while hard rain was already drenching the area between Vicenza and the southern edge of the Alps. In no time, the rain also arrived at Monte Berico and I had to mount my bike to make it back home in a hurry, now all down-hill, though. Yes, I got wet, but what don’t I do for a good shot… ;-).